Let style be an evident factor in your baby's life from an early age with these trendy shorts. 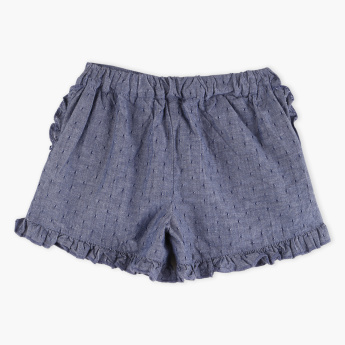 It has an elasticised waistband that gives a customised fit. 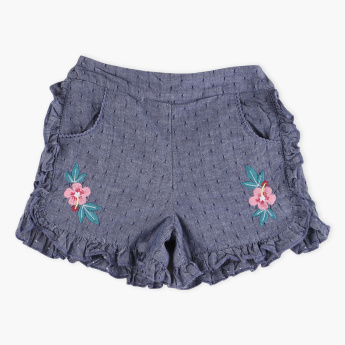 Featuring a flower embroidery and a ruffle hem, this pair of shorts completes her charming look.